Results from the 2016 Lilac Festival 5K and 1 mile Family Run! Thanks to all who participated, volunteered and sponsored this event. It was a great day in the park and a great active event for Taos! Here are the results. Pics to come soon! The Taos Lilac Festival was established to celebrate our heritage of Lilacs and to promote their care and planting throughout the Taos area. 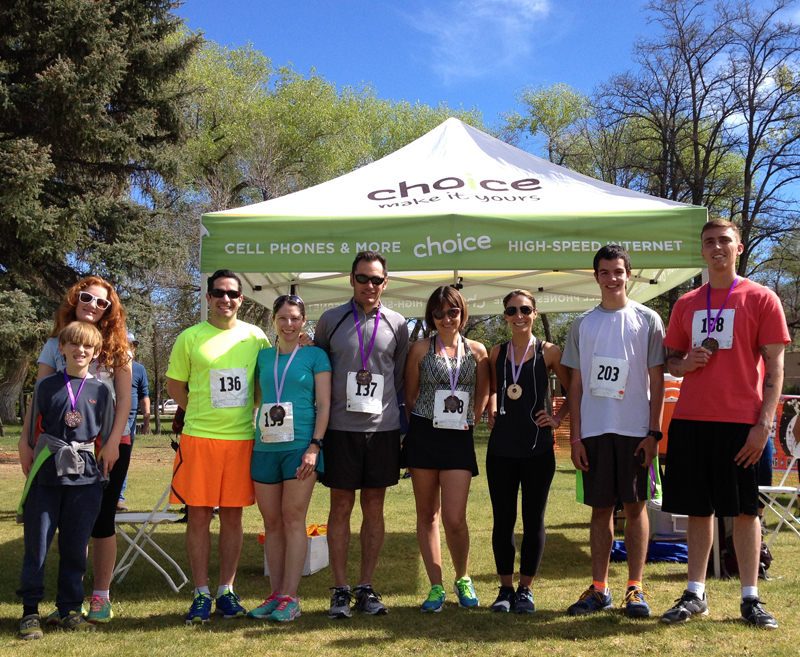 Taos Sports Alliance partners with Lilac Festival to present a 5k that tours through the Historic Town of Taos, and we’ve added a 1 Mile Family Run all within Kit Carson Park, surrounded by Spring flowers and mountain views. We can’t wait for you to join us at the Taos Lilac Festival 5K & 1 Mile Family Run, part of the Taos Lilac Festival’s weekend-long-lineup of events, including music, arts and crafts fair, live entertainment and pet parade. Click here to see a slideshow of scenes from the route. 5k Run – All levels of runners welcome! 1 Mile Fun Run (within the park area) at 9:30am geared toward kids and families with prizes for every kid! Check out other events during the weekend-long Taos Lilac Festival, www.taoslilacfestival.com Visit our lodging page for special savings. 1 Mile Family Run: on the trails within Kit Carson Park. Free parking in the TCA lot right near packet pickup. Includes: Prizes for every kid! The 5k route begins at the church gymnasium behind the Plaza on Don Fernando Street and ends at Kit Carson Park.